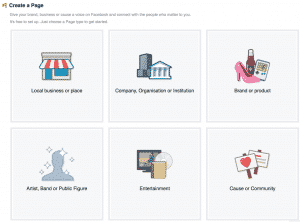 It came to my attention that a lot of people, even some who already have pages, aren’t completely sure how to setup a Facebook Page for Business. Properly at least! Everyone seems to think that a lot of the about sections or details don’t matter. Maybe they don’t to you, but trust me when I say, having old contact details, wrong opening hours or a lack of information can make the difference between someone clicking through to your site, or not. When you initially create your page, you have to choose what sort of page and what category it falls under. 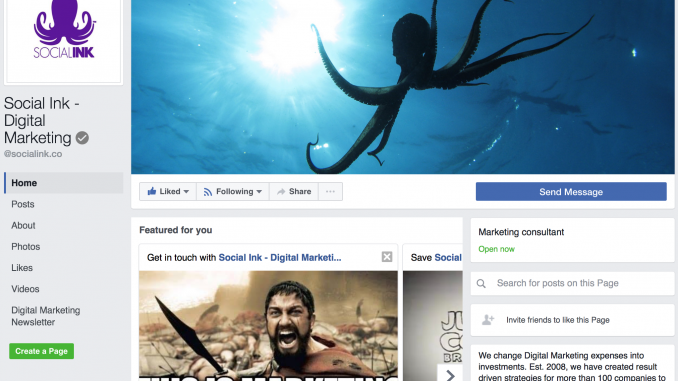 This is an important stage for how to setup your Facebook Page for business. You need to choose this carefully as it will impact your page in the future. Find the right one for you. 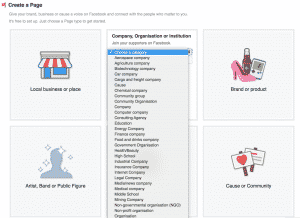 The categories will impact how your page is defined within the Facebook Algorithm, so again this is really important. Take the time to look through the options, and find the one that really relates to what you do. This can seem like a pain at the beginning, but you need to take that time at the beginning, it will pay off later. It’s basic, but it’s SOOOOOOOO important when it comes to setting up your Facebook page. Find a powerful image, something that will stand out, but what you need to remember here is that uniformity, a brand image, is massively important to your online presence. Having an image that is easily recognisable between the different social media pages, or even your website, have a sub-conscious effect helping people to associate where they were with where they are. Too often I’ll come across a page, with a skewed or distorted image, or with text that is hidden, or worse, on a mobile device, the images’ impact is lost, because the image is displayed in a different way. Here’s a helping hand on the imagery size. Your profile pic needs to be square. Make it easily recognisable and associated to your brand, like a clear and well displayed logo for example. This will ensure your updates will be easily identified as yours by your readers and followers. 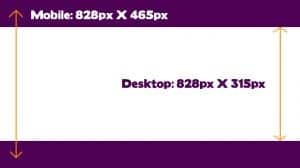 The cover pic size and the portion of the image displayed is different on desktop computers than it is on mobile devices. You need to take this in to consideration, otherwise your image ends up looking distorted or the impact of the image is lost on mobile and app based traffic. NB: Remember that more than 50% of all Facebook traffic is now mobile. So what size should your picture be and how should you create it? Here’s a quick guide to the size of your image. 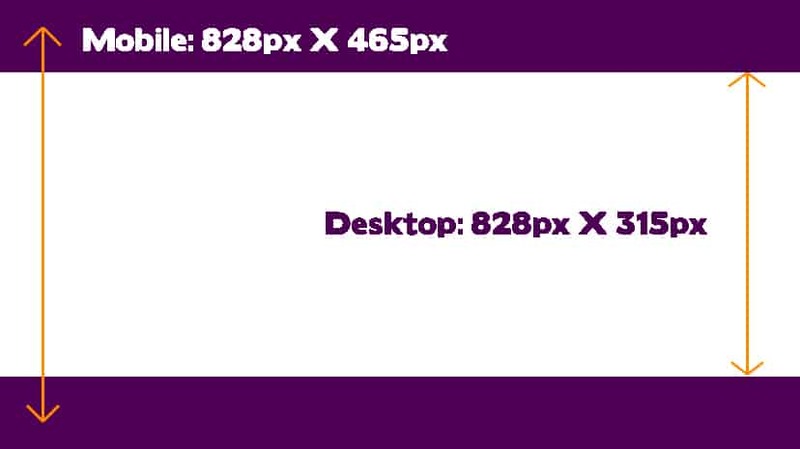 You’ll notice straight away that on mobile devices you lose a top and a bottom section of your image. So you now know what you need to do. You can find a stock image online, somewhere like Depositphotos.com or IStockPhotos.com. Once you have chosen your pic, you can use it across your social media profiles and even on your website. It’s a great way to keep the uniformity. Pixlr – This system is like a free / online version of Photoshop. It’s easier to use and will allow you to edit a photo, add text, change elements on the image. It’s a great tool to help you get started. Canva – Very similar to Pixlr, this tools will also allow you to make an image perfect, the right size and add elements or text. Too many people haven’t actually seen this option yet. There’s a reason for that. Once a page has been created, most people won’t think to come back to the settings section to check their details are up to date, or to customise new options, as they simply don’t know about it. I’m not saying this is something you should do every day, or every week. But a few times a year, take a bit of time to go through the settings section and bring update everything. This new layout setting allows you to choose pre-determined layouts, that are customised for your particular objectives. Whether you offer Professional Service, are selling through E-Commerce, promoting a venue or showcasing your restaurant, there are preset layouts that could help you. Don’t worry, if you’re not 100% convinced by some the exact layout. You can still edit it, by simply dragging the sections to re-order. 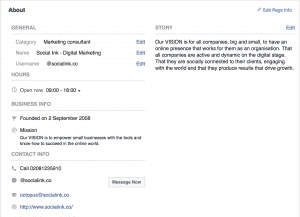 This is a big help for how to setup a Facebook page for business. Too many companies leave forget about this section once they’ve setup the page, or even worse, don’t bother setting it up at the beginning at all. It’s a shame and a waste. You may not think people will look at this, and maybe they won’t very often, but when someone wants to take that next step and hire you / buy from you, they will probably want to check and make sure they’re confident with you and your services. 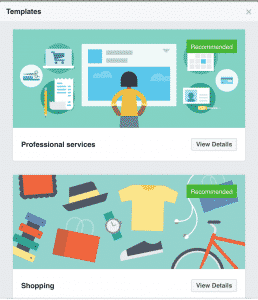 These really are the absolute basics on how to setup your Facebook page for business. They really are important and are overlooked far TOO often. Get on to your page, have a look at the basics, remember they can make all the difference. If you’re stuck, feel free to hit me up and I’d be happy to give you some time to go through this with you. Thoughts on Dubai for a short stopover!